17 May 2016. Researchers in Texas produced a genetically-engineered clone of the Zika virus to provide a testing platform for developers of diagnostics, vaccines, and treatments for the growing outbreak. The team from University of Texas Medical Branch in Galveston, led by geneticist Pei-Yong Shi, reported its findings yesterday in the journal Cell Host and Microbe. Shi and colleagues are seeking better reference tools to help designers of vaccines and treatments for the growing number of Zika virus infections in South America and Caribbean that threatens the continental United States. The Zika virus causes fever, with rash, joint pain, and conjunctivitis, also known as pink eye. Most symptoms reported are mild, but Centers for Disease Control and Prevention says the virus is linked to infections in pregnant women resulting in microcephaly and other severe brain defects. Zika is associated as well with Guillain-Barré syndrome and other neurological disorders. The virus is spread by Aedes species mosquitoes, also associated with dengue and chikungunya viruses. Sporadic Zika virus outbreaks were reported in Africa and Asia, but an epidemic broke out in 2013 in French Polynesia, which spread to other Pacific islands. In 2015, outbreaks first occurred in northeast Brazil, and later spread to Colombia and Suriname in the fall of 2015. In Brazil alone, as many as 1.3 million cases are suspected. 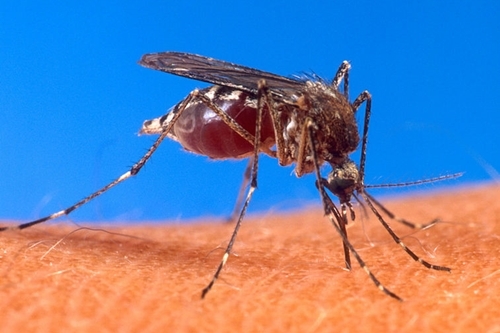 CDC says Puerto Rico reported its first Zika case in December 2015. There are no vaccines to prevent or treatments for Zika virus infections. Avoidance of mosquitoes is the only known control. The Galveston team designed the Zika virus clone to provide a readily available, and controllable, reference medium for lab tests. The researchers cloned the virus with complementary DNA, a synthetic form of DNA derived from messenger RNA, the nucleic acids representing the genetic code in DNA with instructions to cells, using a type of reverse engineering. The entire Zika virus was cloned in five separate parts, then assembled into a single genome. The researchers tested the cloned Zika virus with Aedes aegypti mosquitoes, feeding the insects human blood containing either natural Zika viruses or the cloned variety, with results showing similar levels of virus uptake for both types. Mice genetically engineered to be more susceptible to Zika were also injected with cloned or natural viruses, with similar results in disease and mortality, including development of neurological disorders. A genetically engineered form of Zika can provide a useful tool for vaccine or treatment discovery, say the researchers, since the virus has evolved and adapted to become more of a threat to humans in recent years. This reference model of the virus can be altered as new mutations of the virus are detected, thus providing a current target for vaccine and drug developers. In addition, Shi and colleagues, genetically engineered a form of Zika virus to express luciferase, an enzyme that illuminates cells, found in fireflies. With luciferase added, infections in lab cultures are easier to track, which would make this engineered Zika virus more suitable for anti-viral drug discovery.